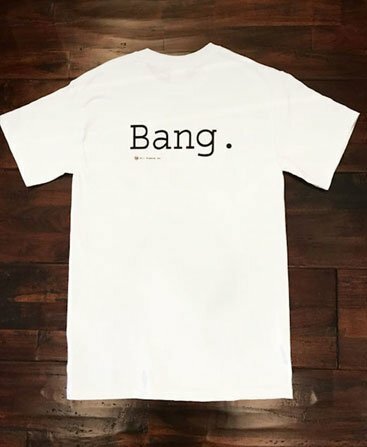 T-shirts that capture the last moments of Spike from the iconic Cowboy Bebop series. 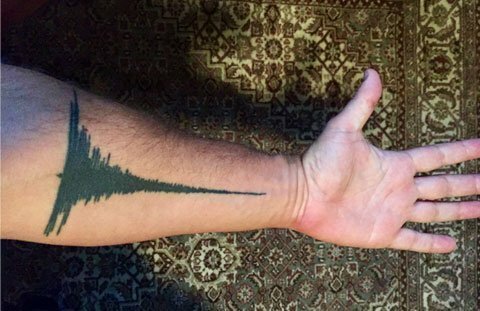 Front has the waveform of the word “Bang”, taken directly from Steve’s session in pro-tools (Identical to his tattoo!). 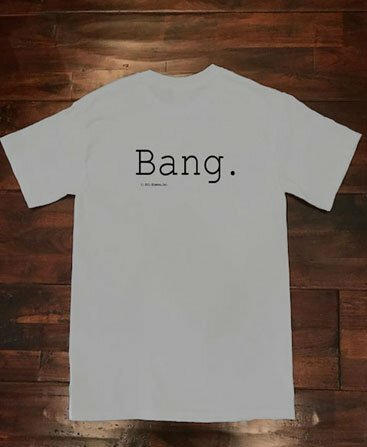 Back shows the word itself “Bang”. Choose from White or Light Grey. We have a limited number left and these will sell out fast. Sizes Small to X-Large. 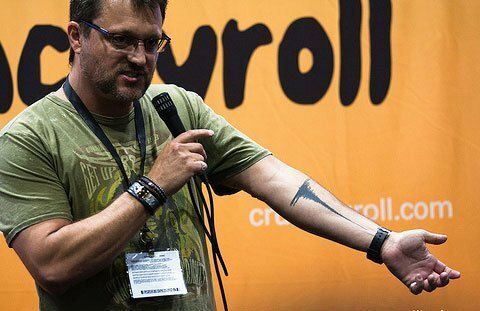 Made by Gilden. 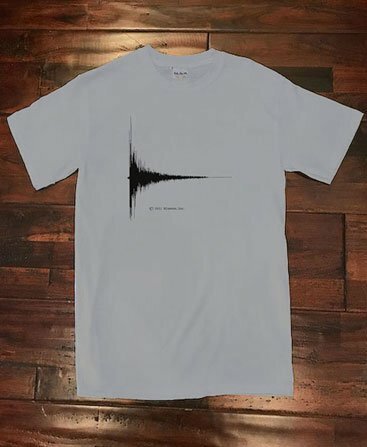 Please note: T-shirts will take one to two weeks for delivery! Thank you for your patience! 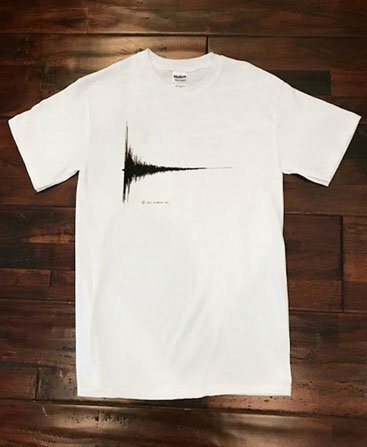 More cool Blumvox Merch coming soon!